Most vehicles have STANDARD and FULL-BACK styles available. Full protection on the front whilst preserving access to original map pockets located behind the backrest. The most typical style of cover sold in the market. Extra protection of whole seat including behind the backrest. Adds map pocket behind each seat. 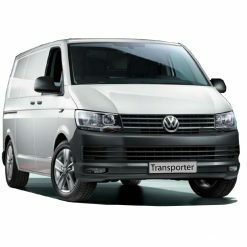 Stops cargo from marking/damaging the back as well as kids in the rear seat kicking and leaving shoe prints/mud all over backrest felt. Most vehicles only have one style of rear seat cover available. Full protection on the front and depending on the type of vehicle, may only cover a portion behind the backrest (eg: Utes where rear seat is flushed against the back of cab). Full protection on the front and behind the backrest. 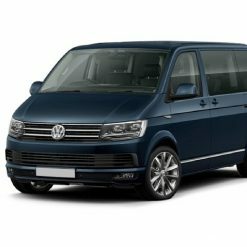 Suitable for 4WDs and SUVs with cargo area behind rear seats. Will also protect against kids or adults accidentally marking the back of the backrest with their shoes when sitting in the third row seats. Adds zippered access to centre armrest. Armrest cover not included. Adds cover for centre armrest. The centre console is one of the main areas that suffer wear and tear. If you are already protecting your seats, why not go the full hog? This cover protects the lid and is designed to hang on even when the lid is opened or closed. One thing’s for sure – not all cars and car seat covers are created equal. When you drive a Volkswagen Amarok, it’s understandable that you want durable car seat covers to match. Whether you’re a tradie that expects the most out of your car and accessories during the daily grind or someone who enjoys four wheel driving (4WD) on the weekends, you can rest easy knowing that when you put your Dingo Trails VW Amarok car seat covers to the test, they’ll pass with flying colours. We work hard to design Amarok seat covers using the highest quality materials available – that way you get the best possible product. Each and every one of our VW Amarok car seat covers are manufactured using premium automotive-grade neoprene, to ensure a superior custom fit and a durable, long-wearing product. Why choose our Amarok seat covers? Durable and waterproof, and protects against grease, mud, slobbering pets, coffee spills and anything else you can throw at it. Battle tested for over 10 years in Australia - designed to withstand high temperatures and strong UVs in the harsh Aussie climate. No slip design meaning your car seat covers stay in one place. Our hassle-free money-back guarantee – with no questions asked! 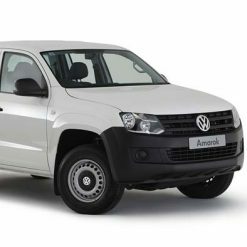 Choose from front and rear set Amarok seat covers, console lid cover or one of each in our sets – the choice is yours! If you have any queries, just reach for the phone and call us on 0431-631-224 or tap out a message on our Contact Us form. Simply browse our range, find the perfect neoprene car seats that suit your car, and enjoy free-shipping to your door, Australia-wide. If you have any questions about any of our products, just get in touch – we’re only a phone call away.